Poetry is taking over at The Granary on the Saturday of the Festival weekend. Anne Ryland will be running a poetry writing workshop from 9.45am-12.15pm and the poet John Challis will be performing at 4.00pm. See Events for more details and to book your tickets. 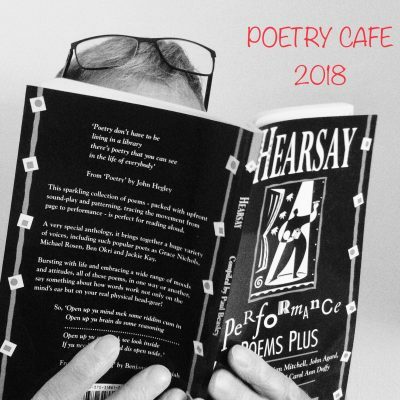 Like the jam in a Victoria Sponge, The Poetry Café will provide a mouth-watering filler in the middle. Anyone who loves poetry, or wants to find out more about it, is welcome to come along to this friendly, informal event. Bring some poems to share (written by you, or a favourite poet), or just come along and listen; drop in for a coffee, or stay all afternoon. A range of delicious snacks and drinks will be available from The Granary Cafe. Email Colin at blfpoetrycafe@outlook.com if you would like to book an ‘open mic’ slot.